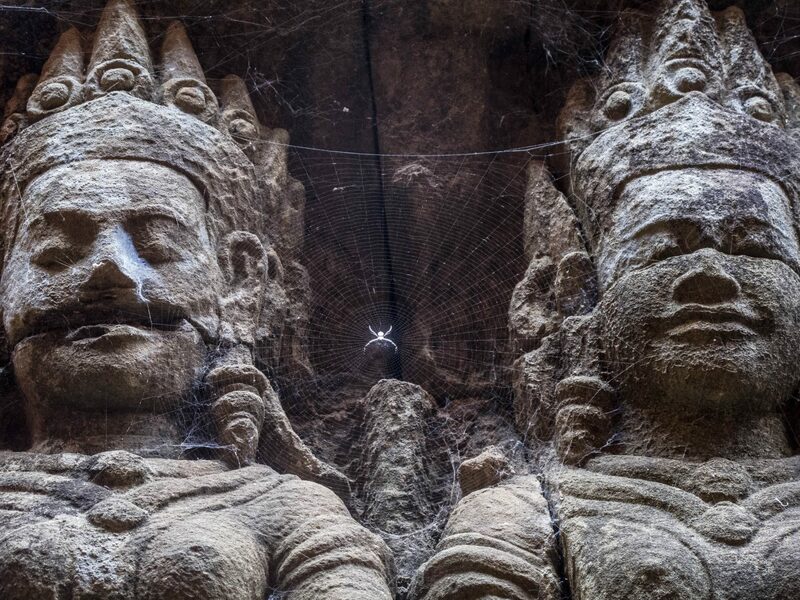 Surrounded by lush jungle and situated within a former bastion of Khmer Rouge rebels, the temples of Angkor inspire and thrill millions of visitors each year with breathtaking architecture and mystical symbolism. The formerly Hindu, now Buddhist temples were built between the 9th and 15th centuries by the Khmer empire and spread throughout a 250-square mile area in northern Cambodia. Most of the visitors congregate around the main sites – not to be missed – such as Angkor Wat and Angkor Thom. For the adventurous traveler, allow a few extra days to explore far off sites and witness the jungle’s spindly, green fingers slowly devour Angkor’s ancient temples. 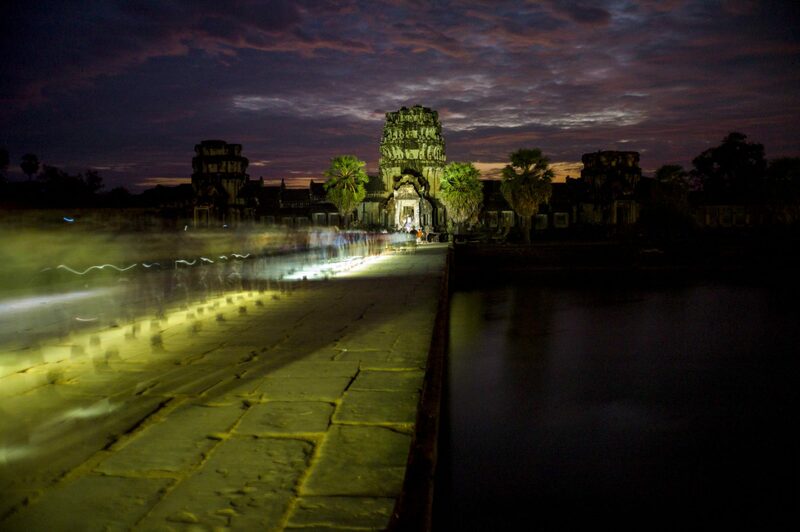 The entrance to Angkor Wat, Cambodia's fabled Hindu, now Buddhist, temple built by the Khmer's in the 12th century illuminated by flashlight beams in dawn's early light. 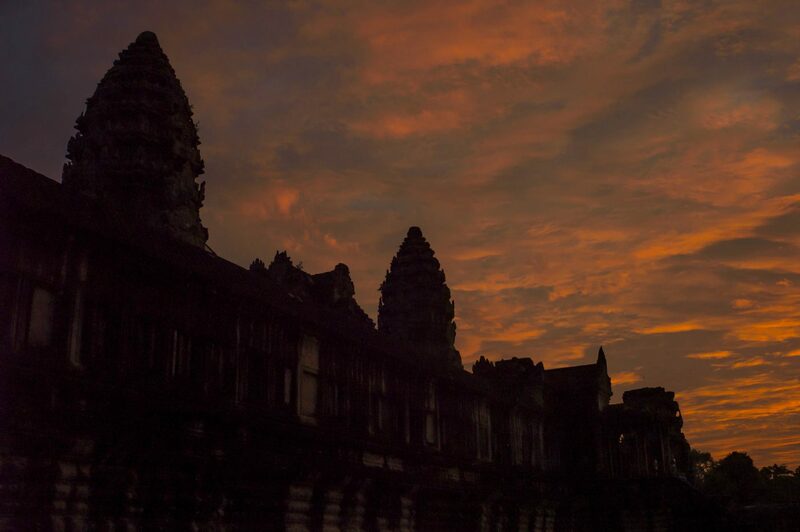 The morning silhouette of Angkor Wat, Cambodia's most visited temple. 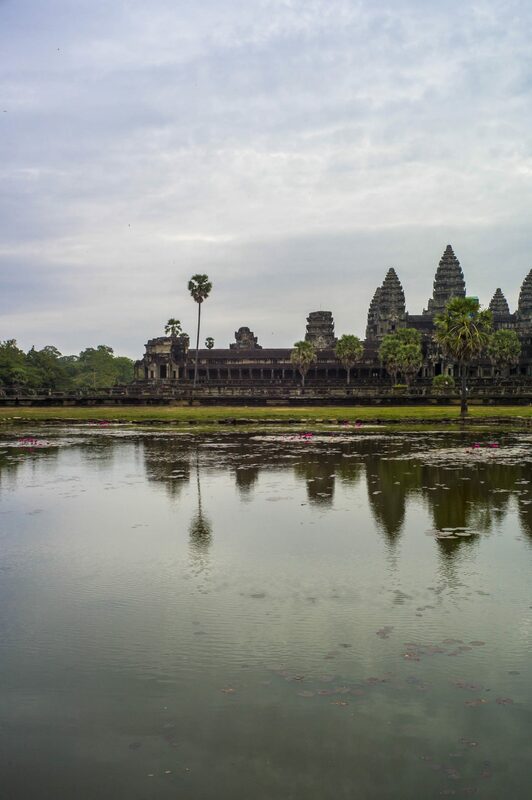 A 620-foot moat surrounds Angkor Wat, or Capital Temple. Originally built in honor of the Hindu god Vishu, the temple became a Buddhist temple in the 13th century. 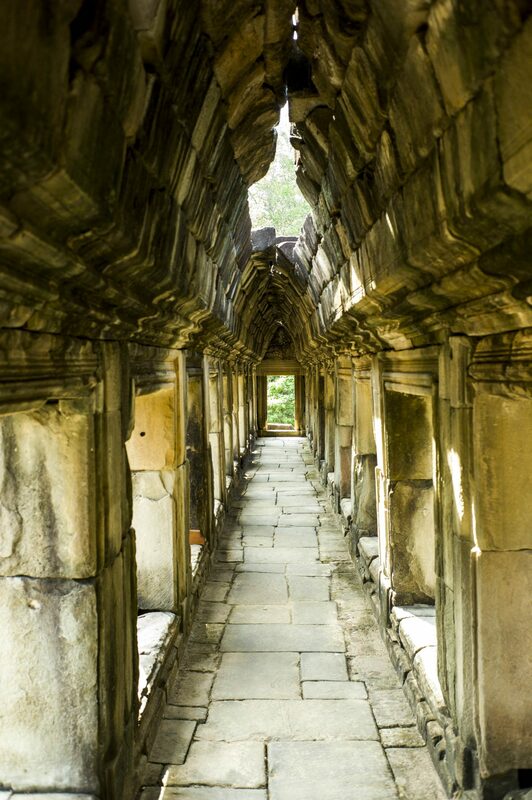 Built in the 11th century to honor the Hindu god Shiva, the Baphuon temple crumbled under the weight of time. 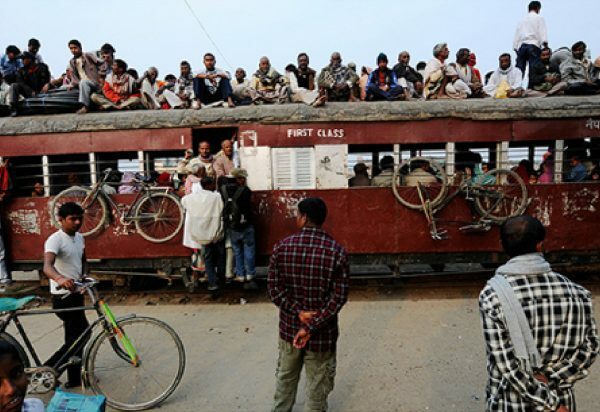 In the 1960s, the Cambodian government, assisted by the French, began a 51-year restoration project, completed in 2011. 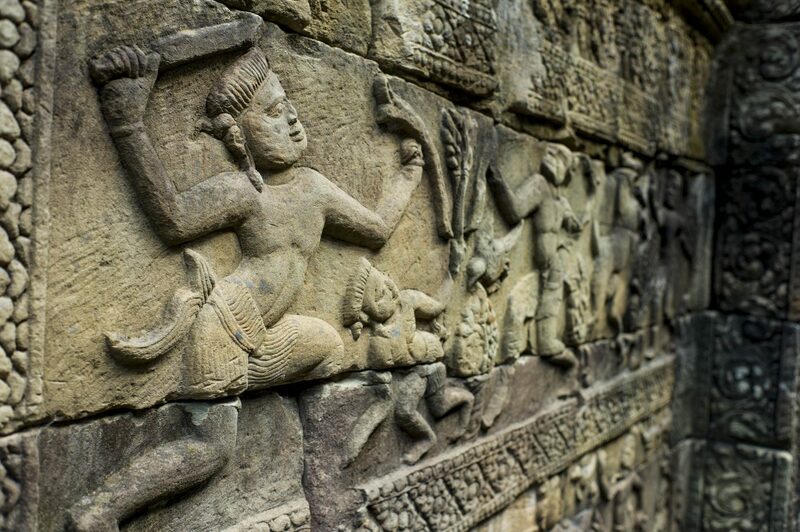 Ornate carvings adorn the walls of the Angkor’s Temples such as this scene of war, at Baphuon temple. 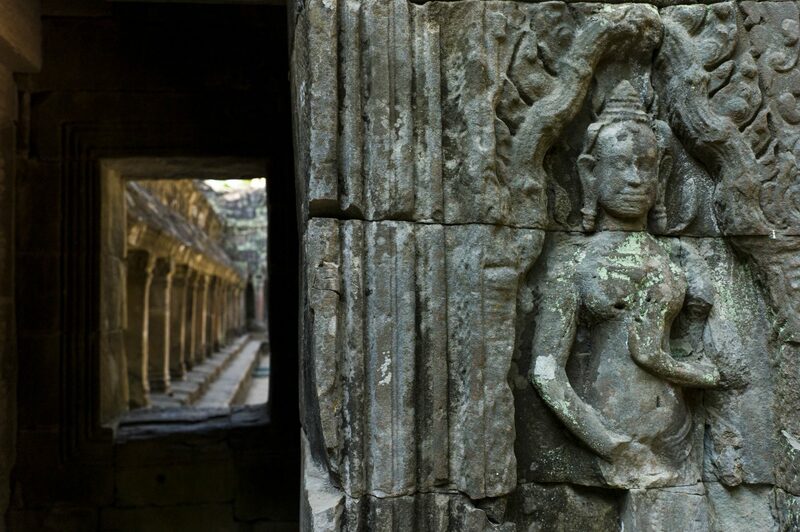 The skill of the artisans who built the Angkor temples is visible throughout the UNESCO listed site. Complemented by the columns of an adjoining chamber, this carving at Ta Prohm was likely created in the late 12th or early 13th century. 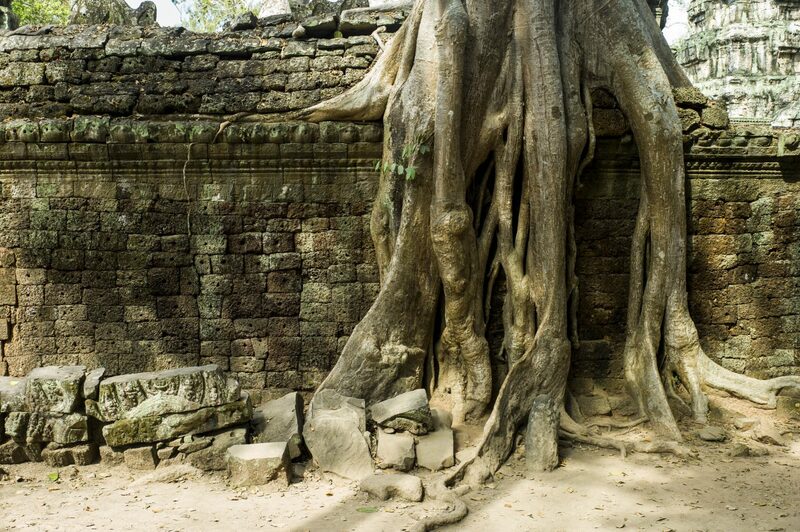 The roots of silk-cotton and strangler fig trees are slowly strangling the Ta Prohm temple. One of the most visited Angkor temples, Ta Prohm was made famous by its appearance in the film Tomb Raider. Millions of tourists visit Angkor each year to explore its ornate temples and bas-reliefs. Far from being an historic relic, Angkor is alive with people and wildlife from the ever-encroaching jungle.